A group of prominent Russian scientists, including Russian cosmonaut Dr. Marina Popovich, PhD, as well as Victoria Popova, Dr. Sc., Ph.D., and Lidia Andrianova Ph.D. have announced a discovery of extraterrestrial communications in pictograms that extraterrestrial intelligence has placed in crop circles and in stone monuments around the world. The group has created a dictionary of over 250 extraterrestrial pictograms for interpreting crop circles and stone monuments such as "Stonehenge and Avebury stone circles in the UK, Machu Picchu, Chavin de Huantar and the Nazca Lines in Peru, the pyramid of Chichen-Itza and the pyramids of the moon and the sun in Mexico and the Moai of Easter Island and others." The Russian scientist group states that the extraterrestrial pictograms communicate that “Extraterrestrial civilizations (ETC) predict three preliminary catastrophes followed by global cataclysms of a magnitude beyond anything experienced in living memory. There will be a short time period between all these events." The Russian scientist group “emphasizes that this is a natural cycle of the planet. Part of this process is the development of human consciousness to a point where humanity will have a ‘window of opportunity’ to make the transition to a higher plane of existence. They explain that this point in history can be seen as a kind graduation for humanity to a higher and more subtle level of experience, a type of metamorphosis for humanity connected with ascension. Nobody can be saved individually, as the transition can be made only through the synchronous unification of human consciousness. Dr. Marina Popovich "(born July 20, 1931) is a retired Soviet Air Force colonel, engineer, and legendary Soviet test pilot who holds 107 aviation world records set on over 40 types of aircraft. 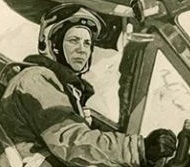 She is one of the most famous pilots in Russian history, and one of the most important female pilots of all-time. Marina Vasilieva became a Soviet Air Force pilot and in 1964, a military test pilot. She authored nine books and two screenplays. Among many other awards, she has been honored as Hero of Socialist Labor, the Order of Courage (presented personally by Vladimir Putin in June 2007)and a star in the Cancer constellation bears her name." One source states, "Dr. Marina Popovich has been outspoken about UFO reality. She wrote a book called UFO Glasnost (published in 2003 in Germany) and given public lectures and interviews. She has mentioned over 3000 UFO sightings by Soviet military and civilian pilots. Although qualifying that her statements are not official, she says that the Soviet Air Force and KGB have fragments of five crashed UFOs in their possession. The crash sites mentioned were Tunguska (1908), Novosibirsk, Tallinn/Estonia, Ordzhonikidze/Caucasus, and Dalnegorsk (1986). Popovich said debris was analyzed and the conclusion was that it wasn't manufactured on Earth with terrestrial technology In 1991, she also displayed what she claims is the last photo taken by the Russian probe Phobos 2, before it lost contact with Earth and disappeared. This photo shows an unexplained cylindrical figure, which could be a camera artifact." According to their biographies, "Dr. Victoria Popova has over 100 scientific publications and 14 patents. She is the best inventor of NCC HS. Dr. Lidia Andrianova has over 50 scientific publications and 4 patents. Their dissertations were based on research of the Barkhausen effect and its application for nondestructive testing and evaluation of ferromagnetic materials. Later we understood that just the Barkhausen effect can explain the mechanism of global cataclysms beginning…. On the basis of decoded information we have written 12 books. Two of our books we have published in co-authorship with Dr. Marina Popovich.” One source states, “"The Barkhausen effect is a series of sudden changes in the size and orientation of ferromagnetic domains, or microscopic clusters of aligned atomic magnets (spins), that occurs during a continuous process of magnetization or demagnetization. The Barkhausen effect offered direct evidence for the existence of ferromagnetic domains, which previously had been postulated theoretically. Heinrich Barkhausen discovered that a slow, smooth increase of a magnetic field applied to a piece of ferromagnetic material, such as iron, causes it to become magnetized, not continuously but in minute steps." According to the Russian scientist group, the ET pictograms predict a model that shows the Earth undergoing a series of three specific cataclysms, followed by a general state of cataclysmic upheaval. A weakening of the Earth's magnetic field is the specific mechanism that the Russian scientists hold will trigger this age of cataclysm that will be started by three "pre-cataclysms". As to the extent and timing of the first pre-cataclysm, the Russian scientists state, "The first of these pre-cataclysms is imminent – an extraordinary event which surpasses all natural powers known by humanity. The scientists claim a catastrophic seismic event will emanate from the west coast of Peru in the area of the Brazilian Magnetic Anomaly at the intersection of the Humboldt and the El Nino currents in the Pacific Ocean. An area of the United States from the Gulf of Mexico to the Great Lakes will be inundated as a result of a tsunami. According to prophecy of Edgar Cayce – famous American prophet – during several minutes the waters of the Mexican Golf will joint with Great Lakes. This catastrophe will have a devastating impact on the whole central and south Pacific region, with the likelihood of mega-tsunamis hitting the Eastern seaboard of New Zealand and Australia. The tsunami may even affect the north-western coast of Africa and the shores of Western Europe, but the brunt of the cataclysm will focus on Eastern coast of North America. The second and the third pre-cataclysms will be much stronger." The Russian scientist group state that their interpretation of ET communications is that the only way that humanity will survive is through a process of consciousness transfer to a higher dimension. This appears to be a process similar to the "ascension" process described by other scientists such as Bulgarian scientist Dr. Georgi Stankov, who states that dimensional ascension in 2012 will be the only way that humanity can escape a cataclysmic "hell" on Earth (a term the Russian scientists use also). Referring to this consciousness unification and "ascension" process, the Russian scientist group states, "The only way for salvation is humanity Transition on another safe level of material world through the united consciousness. ETC inform that in order of transfer through levels of parallel worlds is required a body transformation. Earth civilization can make the Transition only on the Highest level of the material world. This Transition requires not a body transformation, but body destruction. This destruction can be made only by laser as a result of the united consciousness action. ETC warn that Earth civilization due to insufficient consciousness perfection has very weak action of the united consciousness. So, for laser appearance is required huge power of the united consciousness action. ETC represent the required high homogeneous cellular structure of the civilization united cell with resonance activity. Synchronous unification of civilization’ consciousness will cause the laser beam which will remove our bodies from the level of global cataclysms. Simultaneously we will resurrect at the Highest level of the material world without cataclysms. This way humanity will escape global cataclysms and prolong life in the new cycle of the Correction with two categories – hell and paradise. Everyone will be responsible for the actions he makes today. This is the scenario of our Transition – the only way for salvation." The Russian scientist group emphasize that it is imperative and necessary to inform the human population of these coming cataclysms. The group states "Civilization has to be pre-informed. ETC insist to spread widely the information about upcoming cataclysms and the Transition as the only one way to prolong life of Earth humanity. ETC warn that humanity has to make the decision about the Transition as quickly as possible because after the first pre-cataclysms it will be very difficult to do it. This is related with disconnecting of phone and Internet communications in the result of super-powerful disaster. Not informed civilization has no chance to make the Transition in time and to prolong life." The Russian scientist group states, "ETC inform that global cataclysms will never stop and will become only stronger because the purpose of global cataclysms is the destruction of our planet. So, it is impossible to hide in bunkers which are popular today and are sold in many countries and wait till they end." There are multiple working hypotheses raised in the Russian scientist group’s reported discovery. Each working hypothesis can be evaluated according to independent evidence that tends to support the hypothesis, as is normally done in the scientific method. 1. Crop circles, stone monuments, Extraterrestrial pictograms and ET communications – The Russian scientist group claims it has spent 15 years studying crop circles and stone monuments that contain ET pictograms such as the Nazca Lines in Peru. Their working hypothesis is that “All extraterrestrials’ pictograms in stone transmit preliminary information about the development of consciousness. Crop circles transfer the emergency information and instructions for [humanity’s] salvation [from cataclysm]. The Russian scientist group have completed a dictionary of ET pictograms and 12 books supporting this working hypothesis. Independent research supports the hypothesis that crop circles and pictograms are ET communications. 2. Earth magnetic field & Earth cataclysms - The Russian scientist group develop the working hypothesis that ET communications warn that Earth’s magnetic field is weakening which will cause a period of initial cataclysms followed by a period of indefinite cataclysm. In fact, NASA has concluded that holes in the Earth magnetic field are thought to be one of the factors that could amplify the effects of solar storms, cause severe earth changes during 2011-13 solar cycle 24. 3. Mainstream media reporting of gas giant or brown dwarf outside Pluto – Mainstream media such as The Independent and CNN have been reporting the existence of a giant celestial body four time the size of Jupiter – perhaps a gas giant or brown dwarf star or planet – outside the solar system beyond Pluto. One report on the giant celestial body states, "The IAU would also have the final say about the gas giant's name. To the Greeks, Tyche was the goddess responsible for the destiny of cities. Her name was provisionally chosen in reference to an earlier hypothesis, now largely abandoned, that the Sun might be part of a binary star system with a dim companion, tentatively called Nemesis, that was thought responsible for mass extinctions on Earth. In myth, Tyche was the good sister of Nemesis." One report states, "Astrophysicist Alexei Dmitriev says that both Voyager 1 and Voyager 2 satellites reveal that our sun, as well as our entire solar system, is now moving into an interstellar energy cloud. Opher, a NASA Heliophysics Guest Investigator from George Mason University says this interstellar energy cloud is turbulent. Dmitriev explains that this cloud of energy is exciting the atmospheres of our planets and especially our sun. As this interstellar energy cloud continues to excite/charge the sun, it causes the sun to become more active, resulting in greater output from the sun. IE: Bigger and more frequent solar storms and CME’s resulting in the Carrington effect. This interstellar cloud of electrical energy is also absorbed by the Earth, and scientist have found that it results in more earth quakes, all while dramatically effecting our weather here on earth. When asked how long will it take our sun to pass through this interstellar energy cloud, Dr. Dmitriev replied, “I don’t know. But If I had to guess, I would say somewhere between two thousand to three thousand years.” This interstellar cloud is a wispy band of charged particles through which our solar system is slowly moving through. 5. 2011-13 Catastrophic and positive timelines - In the course of research on potential impending transitional changes during the 2012-13 time horizon, this Examiner.com reporter has identified what can be described as two parallel realities, each buttressed by independent sets of data and personal and institutional decisions – a 2012-13 catastrophic timeline and a 2012-13 positive future timeline. The empirical evidence for the parallel existence of a catastrophic and a positive timeline may in fact reflect the empirical evidence for the existence of (1) the Earth in cataclysm, and (2) the unified consciousness and the "ascension process", as predicted by the Russian scientists' hypotheses and discoveries. Just because there is supportive evidence for a hypothesis and a proposed discovery does not mean that it is totally correct. The hypothesis may be totally correct, partially correct, or totally in error. The above supportive empirical data provide prima facie evidence that the Russian scientists’ hypothesis and discovery should be taken seriously and publicly discussed, along with other information regarding the risk of impending Earth cataclysm. A. Timing – One of the most pressing issues raised by the Russian scientists’ hypothesis and discovery is that of the timing of these hypothetical cataclysms. Their website now states that the first “pre-cataclysm” may occur in late August 2011. That date is so soon to the date of this article (August 16, 2011) that we will know soon enough. If the first “pre-cataclysm” does not occur at the end of August 2011, then does their entire hypothesis lose credibility? What are the parameters of timing in this case? This hypothesis is congruent with the “ascension” hypothesis, as set out by the Russian scientists, and such other proponents of the “ascension” hypothesis as Dr. Georgi Stankov, Anthony Kane, and George Kavassilas. Scientifically congruent – A separate issue is whether this scale of cataclysmic destruction is congruent scientifically congruent with the known earth sciences. C. Consciousness unification – Consciousness unification of humanity is proposed as the positive outcome in the Russian scientists’ hypothesis and discovery. The Earth cataclysms are seen as a trigger for unification of human consciousness to come together and ascend to a new dimension of existence. This aspect of the Russian scientists’ hypothesis and discovery is congruent with the “unity consciousness” model of the time acceleration matrix of the Mayan Calendar, popularized by such scholars as Dr. Carl Johan Calleman and Barbara Hand Clow. Under the unity consciousness model, the singularity at the core of our universe is now emanating an intentional ‘pre-wave’ to a final 9th wave of universal, ‘enlightened universal consciousness’ that will, according to some, begin on March 9, 2011, end on October 28, 2011. From then on the singularity at the core of our universe will emanate constant ‘enlightened universal consciousness.’ The singularity at the center of our galaxy (the galactic center ‘black hole’) modulates this universe consciousness energy wave as well. This is, by any standard, exceedingly good scientific news. Universal alternating energy wave movements have been a feature of our universe, since the Big Bang, and it is these wave movements that have shaped the nature of consciousness in our universe over the past 18 billion years. This past weekend’s commencement of a seven month ‘pre-wave’ is a preparation for the commencement of the ninth and final wave of singularity emanations (from March 9 – October 28, 2011) of ‘enlightened universal consciousness’ itself – the culmination of all alternating energy wave movements since the creation of our universe in the Big Bang itself. The ‘pre-wave’ of unity consciousness – like all universe energy wave emanations, creates the ‘meme’ or story content of our personal and our collective reality. These discoveries about the consciousness energy emanating from the interdimensional portal at the core of our universe are suggesting that our highest thoughts and ‘memes’ are/may in fact be sourced from the energy waves of the universe singularity, mediated through the galactic singularity – the black hole at the center of our galaxy the Mayans called Hunab Ku. The singularity of our solar system is Sol, our sun - a dimensional portal to other galaxies, according to physicist Nassim Haramein. These universe singularity energy waves serve as carrier waves of ‘the universe’s mind and spirit software’ - the way that the intentional universe (some call it source, the ‘sea of Light’ or God) lets us know of its intention for consciousness in the entire universe. As a practical matter, does it matter if you are tuned in and commit to the 9th Universal consciousness universe energy wave? Yes – the universe energy waves we humans tune in and commit to determine our planetary status and how we reach our potential as a planet. Thus, the transformation and unification of human consciousness can occur over time without the trauma of planetary cataclysm or “ascension” to another dimension. Our “unity consciousness” is the new dimension. The Russian scientist group stress the time urgency of the ET pictogram messages. In an Aug. 17, 2011 follow-up letter to this reporter Alfred Lambremont Webre, the group states, "today is unusual situation – very short period of time before the global cataclysm beginning. The date of start up this event is known as the end of Mayan calendar – the ETC calendar! Just they give us a date because the beginning of all these events – three pre-cataclysms and the global are caused artificially. By creating certain regularity of cataclysms start ETC are saving life of our civilization, more detailed and additional information is presented in article presented bellow. So, all these events will start up in chosen day and hour. "Consequently, the time to make our decision about the Transition is left less and less. This is the time between the end of the first pre-cataclysm and before the second. The first pre-cataclysm, as understood ETC, should be necessarily required – now a lot of people do not want to change anything. This is because nobody knows the power of approaching natural phenomena. "People think that somehow someone can escape. Of course, not everybody, but some people can be saved. However, ETs say strongly - NO! In the global cataclysms may survive only entire civilization, making the Transition to the next level of the material world in harmony of Earth through the united consciousness. We'll prolong our life, but our body will be not as dense as it is now by holographic. That's all what required! "In order to demonstrate the power of natural phenomena, which will start everywhere of Earth, ETs have to start up the first pre-cataclysm. This, of course, is very sad for them because of huge people’s losses in a few minutes. But there is no other way. Otherwise the global cataclysm beginning will perish all civilization of Earth during a few minutes. ETs have no choice. But we have! "So, please, help as soon as possible spread this info as widely as you can. This is due to the fact that the first pre-cataclysm would destroy the system of communication – telephone and Internet. Restore it will not be easy and we lose a lot of time. So, not informed part of civilization would not understand what happened and for a long time will live in chaos, the consequences of which will undoubtedly be very sad - suicide and much more. It is necessary to foresee it. "That is why the ETs can not start the first pre-cataclysm before the whole civilization will not be informed about the events. But the date of global cataclysms beginning is already determined! After that date, an extremely low value of the magnetic field will no longer be under power of ETs united consciousness. So global cataclysms will begin. "We have to spread info about the scenario of global cataclysms beginning! "We need to make the Transition in time, despite the breakage of communication. We have extremely short time - just a few months, and an enormous amount of work. Extraterrestrials inform that for the Transition humanity’ consciousness has to cause a laser beam. A laser beam can cause only uniform resonant medium of civilization’ consciousness. And it is very difficult to realize. It is necessary to carry out repeated attempts, first by country, then by continent, and then we have to unite consciousness of all civilization. It will be required very long and laborious work of all people of Earth, as uniform community. Be very long and laborious work once all the people of Earth as a unified community. "We have to do everything to spread widely this warning information to all people of Earth. And the earlier we will make it, the more time remains for all civilization’ trainings and Transition. "Russia will not be strongly affected by the first pre-cataclysm. It is very-very important to spread this info among countries which will be strong affected by the first pre-cataclysm. Among them are – north-western coast of Africa, the shores of Western Europe – England, France, Spain, and also Japan, Australia, New Zealand." 8. What do you think? - What are your thoughts and suggestions to the Russian scientists’ hypothesis and discoveries? Please register your comments and suggestions in the comments section below.